tell us a little bit about how you got started in weddings? I studied Fashion Merchandising in college and at the time, my dream was to have my own wedding dress shop. But after graduating from college I ended up working in a local flower shop for almost 2 years and realized that as much as I loved fashion and dresses, flowers were what made me truly happy and spoke to my heart. I designed my first wedding flowers for a friend and loved it. But life being life, I wasn’t able make flowers a full time reality and I ended up back in the world of fashion and corporate professionals. It took me almost 20 years to figure out how to get back to a life filled with flowers, but I did and I am grateful every day to be able to do what I love. I would say that my style is more relaxed and free flowing with just a little bit of structure, which helps to gives my work a clean and natural look. Fashion inspires me. My first love is flowers, but my second love is fashion...the colors, the textures, the patterns, the styles. It definitely influences me in my flower designs. Having this fashion background helps me when I am creating a look and feel for my clients. I don't always see the specific flower first, I see the color and texture that I want and than find the flower that fits it. I love that each of my brides is unique in her own way. Yes, colors and themes might be the same, but each bride has her own personal touch that makes her wedding different from all the rest and discovering what those personal touches are is what I love most about weddings. Seeing that brides face light up when she describes her dream wedding, it makes it exciting and inspires me to create unique designs that match her vision and what is important to her. At the core of my business is the belief that every bride who comes to me should be treated how I would want to be treated. Flowers can be an overwhelming process and for the majority of the brides that come to me, this is the first time they are ordering flowers for a large event. 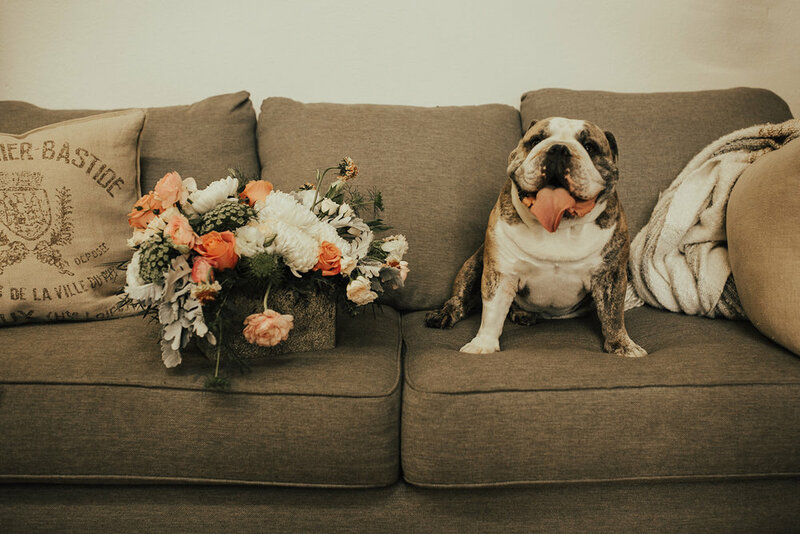 The reality that buying flowers for the bridal party, ceremony and reception adds up very quickly can be confusing and stressful. We work very hard to make the process as stress free as possible while helping a bride to understand what goes into the cost of their flowers and why they are worth every penny you will spend on them. Start your planning early so you are not stressing out at the last minute. Also, while Pinterest makes everything look super easy to DIY, when it comes to your wedding, hire professionals to bring your vision to life! This way, you can sit back and enjoy one of the most important days of your life!